Step 1: Wait for Gutenberg to invent the printing press, which kicks off centuries of progress in printing technology, culminating in fast, cheap laser printers. Step 2: Wait for Donald Knuth to write LaTeX and METAFONT, which allows digital typesetting to be beautiful. Step 3: Wait for the internet to be invented, allowing easy transfer of information, and the establishment of internet print-on-demand services like lulu.com. Step 4: Have a friend publish a fantastic book using Lulu, so you can see a little from the outside how it works, and ask for advice. Step 5: Have another friend with a complete book all typed up, ready to be published (her father’s memoir). Step 6: Dump the Word docs to plain text; write perl to insert LaTeX formatting codes for chapters, blockquotes, leading verse for each chapter, etc. Step 7: Follow advice for creating a Lulu-ready PDF (page sizes, embedded fonts, etc.). Step 8: Upload the PDF to Lulu — boom, now it’s for sale! Step 9: Use latex2html to generate a HTML version of the book; use Calibre to convert HTML into both .mobi (Kindle) and .epub (all other) e-book formats. Step 10: Create a WordPress blog to advertise the book and disseminate e-books. Young kids are often taught about Roy G. Biv, a hypothetical gentleman who helps them remember the seven colors of the rainbow: red, orange, yellow, green, blue, indigo, and violet. Even kindergartners tend to rebel at the mysterious ‘I’ in Mr. Biv’s name, however. What the hell is indigo? It has to be explained to them that indigo, halfway between blue and purple, is actually a very different, super-important color, trust us. In fact, indigo is a bit of a fraud. The other six “colors of the rainbow” are the long-enshrined primary and secondary colors of art theory. Indigo only got shoehorned into the rainbow because Isaac Newton, who originally saw five colors in the spectrum, decided decades later when he wrote his landmark treatise Opticks that seven would be a more elegant number. 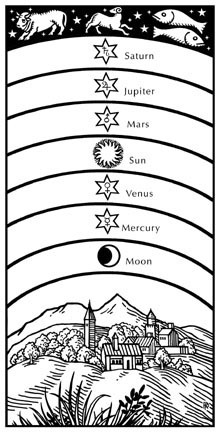 He believed the seven colors should harmonize somehow with the seven classical “planets” in the night sky and the seven notes on the diatonic scale. So he added orange, along with indigo, an important dark blue dye since ancient times. In reality, most observers have a hard time seeing indigo as a separate band of the spectrum, and it’s not usually included in modern color theory. If indigo is iffy, how many colors are there really? Well, the human eye can distinguish between about a million different hues, but a real rainbow displays its shades in one continuous spectrum, not the neat stripes of a Care Bears cartoon. In the Iliad, Homer refers to a one-tone purple rainbow, because the ancient Greeks didn’t have words for the full spectrum of color. Later classical and medieval thinkers agreed with Aristotle that the rainbow had three shades; in Islamic thought, there are four, corresponding to the four elements. So it’s largely a cultural call. Many Asian languages, even today, use the same word for “blue” or “green” — someone in China might describe the rainbow very differently from someone in Finland, or Papua New Guinea. Let’s just say there’s a wide spectrum of possibilities. Although this is cool and neat by itself, what really caught my eye was that we owe our 7-color rainbow to Newton’s dependence on the medieval seven-planets as an organizing principle for other (all?) areas of life. Have you ever asked yourself why there are seven Narnia books, and what holds them together, though they all seem so very different? It turns out that C.S. Lewis scholars have been trying to answer that question for over 50 years, and after many unconvincing attempts to systematize Narnia (plays of Shakespeare, days of the week, …), Anglican priest and Lewis specialist Michael Ward had an epiphany that Lewis was (just like Newton) using the seven medieval “planets” (Mercury, Venus, Mars, Jupiter, Saturn, Sun, Moon) to organize his creative vision — and even subversively using the Narnia series to attempt to re-interject awareness of the seven medieval planetary ideals into the modern consciousness. For more information, you could go read Ward’s book for lay readers, The Narnia Code, or his academic book (Warning! English professors only beyond this point!) Planet Narnia, or listen to him talk about it on Mars Hill Audio Journal #90, or hear the extended discussion from Mars Hill Audio: Conversations. Or you could just go poke around the man’s website. And while you’re doing so, you can be listening to this cute song from my favorite band, even though it is now obsolete (maybe they’ll write a new song, like they did when this song had to be corrected). Glad you asked! The Word is a fantastic biblical graphic-design project by this dude Jim LePage, who has apparently been channeling Donald Knuth for almost two years! Why did he do it? In the past, I’ve tried an approach like, “starting today, I’m going to read my Bible for 20 minutes every day.” While I may stick with it for a week or a month (sometimes even longer), inevitably I stop because I have no self-discipline for that sort of thing. I knew I didn’t want to try that approach again so I tried to come up with a new strategy that would work for me. I began by thinking of things that I really like and want to do. One thing that kept coming up was design. So I decided to try and combine my love of design with my desire to read the Bible more. The result is a series called Word. Basically, Word is a series where I create original designs for each book of the Bible. Before each design, I spend time researching the book, finding out the themes, historical context, weirdest stories, etc. I also scan through parts of the book looking for a passage or story that could translate into a cool design. Each design isn’t meant to completely represent the book, rather it is merely based on a passage from the book. There are too many great designs in the project to try to link to here, but to inspire you to hop on over and check them all out for yourself, I’ll choose a few of the most “three-sixteeny”, i.e. those that most highlight words. Enjoy!